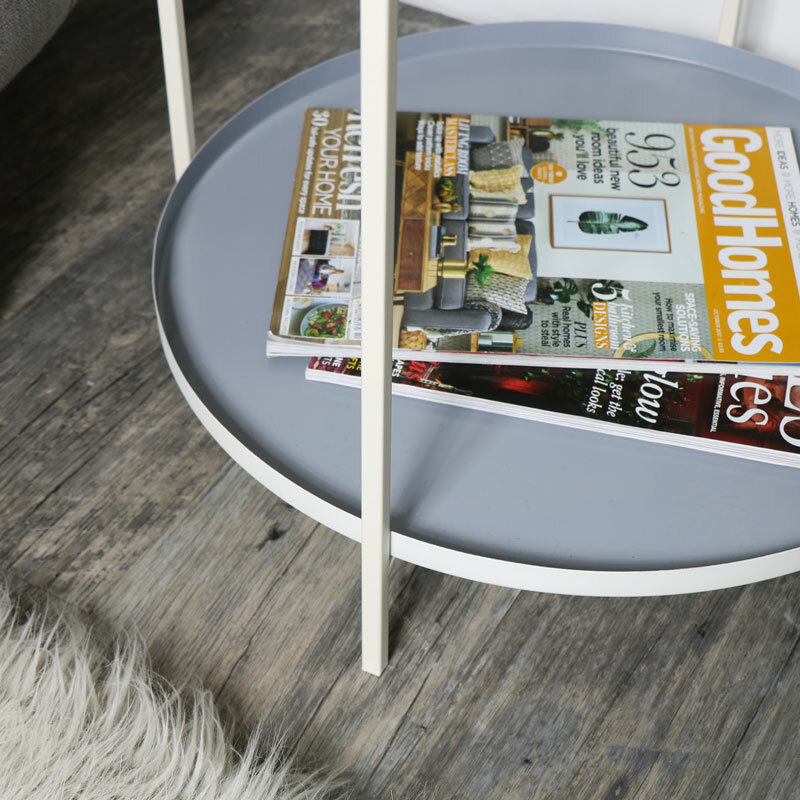 Add some modern, contemporary styling to your home with this stylish occasional tray table. Folding design with 2 removable tabletops that make this so practical. Lightweight, multi-purpose design with each of the tray tops fully removeable and interchangeable with one painted with a grey inner and the other white. This table will be ideal for use in the living room as a coffee of end table, sat by the sofa or chair side. A great addition to any modern or contemporary styled interior. 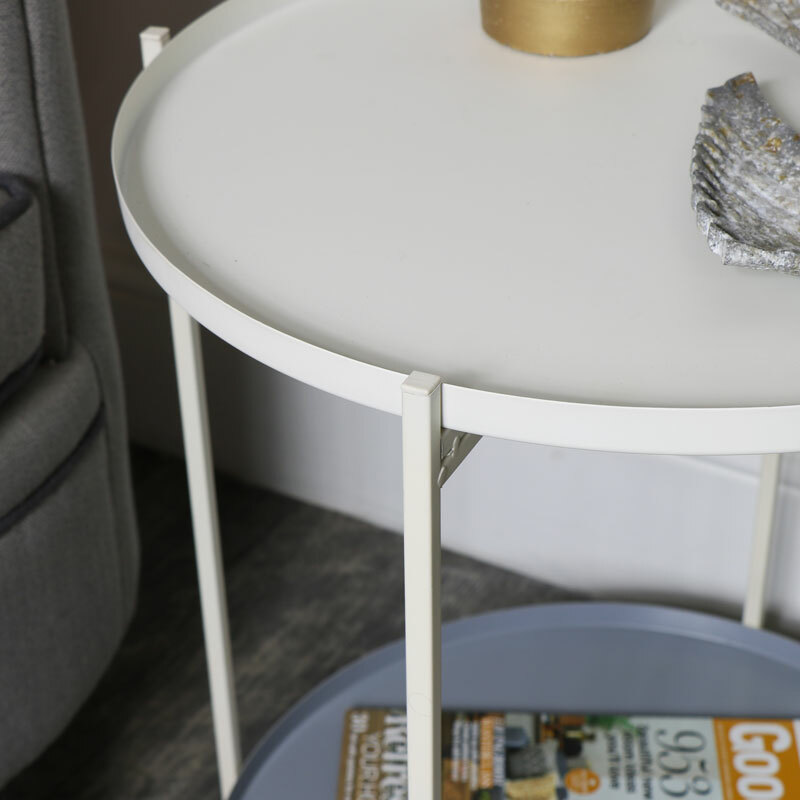 Add some modern, contemporary styling to your home with this stylish occasional tray table. Folding design with 2 removable tabletops that make this so practical. Lightweight, multi-purpose design with each of the tray tops fully removeable and interchangeable with one painted with a grey inner and the other white. This table will be ideal for use in the living room as a coffee of end table, sat by the sofa or chair side. A great addition to any modern or contemporary styled interior. 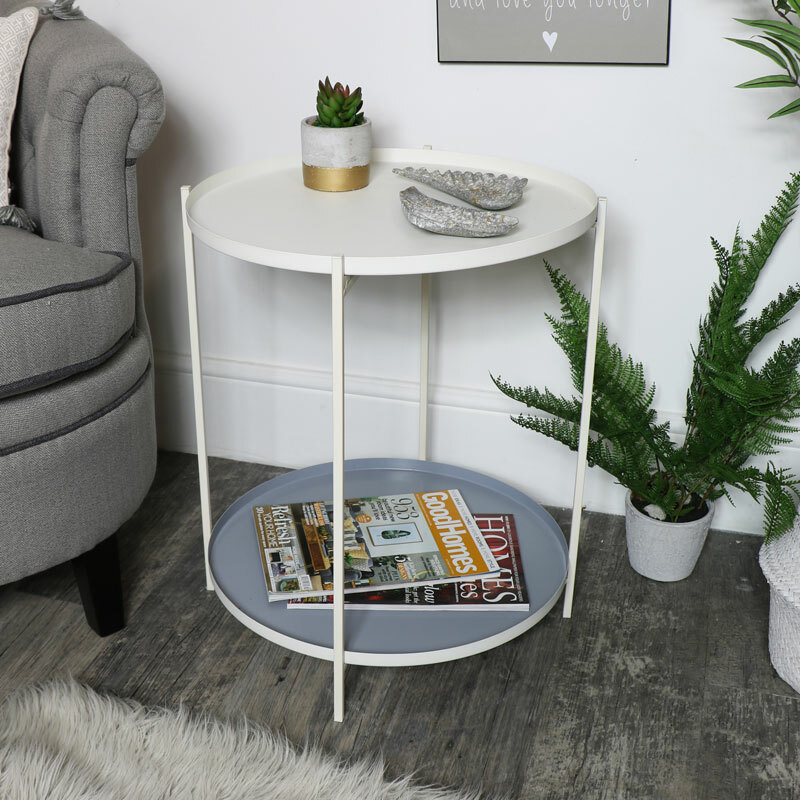 Constructed with a folding base in a white painted finish with one grey table top and one white. Both tabletops are fully removable and allow the table to be stored away if not using. Create a home that you love with the help of our extensive range of furniture. Fantastic furniture in an array of gorgeous style with something to suit any rustic, country, traditional, modern or contemporary interiors.